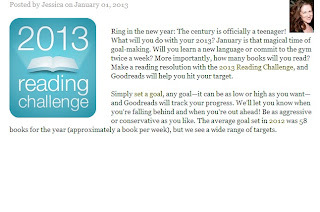 Angel's: First evah nerdy post of 2013! Hooray! Hola, readers! Right now, it's raining oh-so heavily and it's actually a good time to take a short nap but I'm here, updating my blog; such a dedication. Haha. New year, new beginning and other new things. 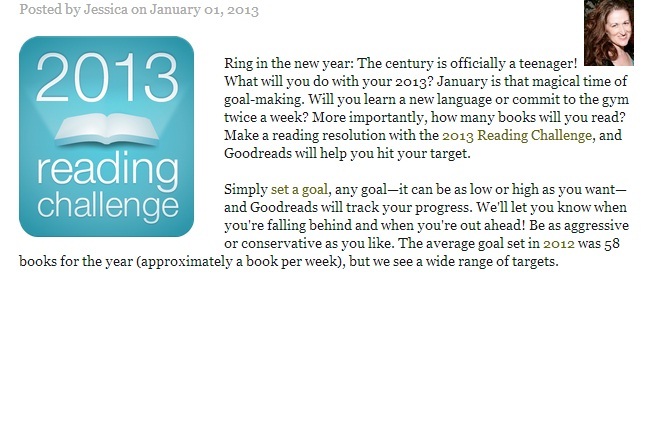 Therefore, I joined the 2013 Reading Challenge on Goodreads. Well, to answer those questions ladies and gentlemen, I happen to find joining that challenge exciting thank you very much. So pfft now or something. Did I tell you I'm such a YA romance sucker? BOOKS I HIGHLY RECOMMEND TO YOU PEOPLE! Well, that's all folks! I'm going back to the real world.